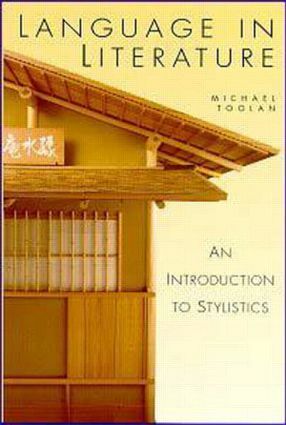 An activity-based introduction to stylistics, this textbook explains some of the topics in literary linguistics and helps students in analysing written texts. How can you tell good writing - the excellent, the brilliant and the ingenious - from bad writing - the weak, the banal and the confusing? By looking at the technique and the craft of writing, Language in Literature examines the ways in which language is organised to create particular meanings or effects. Covering a range of topics - naming patterns, modality and evaluation, the structure of simple narratives, the recording of character speech and thought, the dynamics of dialogue, presuppositions and textual revision - the book presents the structuring principles within the English language. Activities and end-of-chapter commentaries encourage a 'learning by doing' approach and equips the reader with the main linguistic terms necessary for the analysis of literary and non-literary texts. Getting started. Cohesion. Modality and generic sentences. Processes and participants. Recorded speech and thought. Narrative structure. A few well-chosen words. Talking acts of give and take. Presuppositions.